Exploring Google Kubernetes Engine by creating a complete Node.js / React solution. Serving our application through Google Kubernetes Engine. Securing our application using Google Kubernetes Engine. Beginning to incorporate data persistence. Data persistence in production. In reading about Kubernetes, I have come to learn that it has the potential to disrupt the PaaS model by leveraging Docker to provide a similar developer-friendly mechanism to deploy applications. The final solution is available for download. The latest versions of Docker Engine and Docker Compose (both included in Docker Desktop); versions 18.09.1 and 1.23.2 as of this writing. The latest version of Node.js LTS; version 10.15.0 LTS as of this writing. 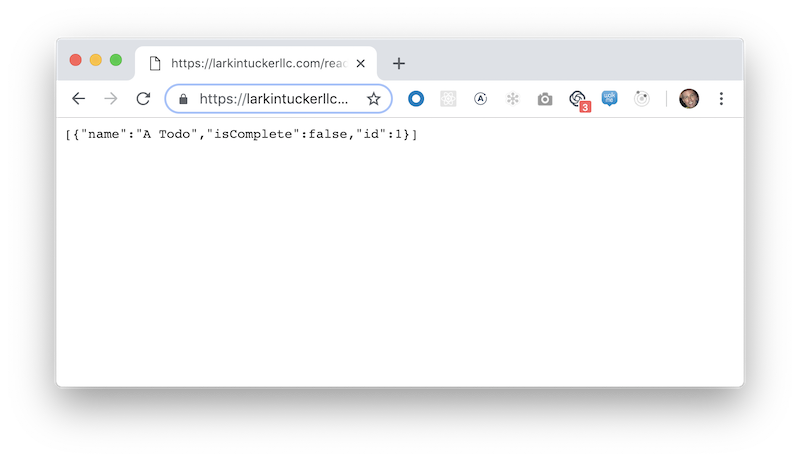 We will start with a basic Node.js / Express project as described in the Backend section of another article that I wrote: Tech Stack 2019 Core. 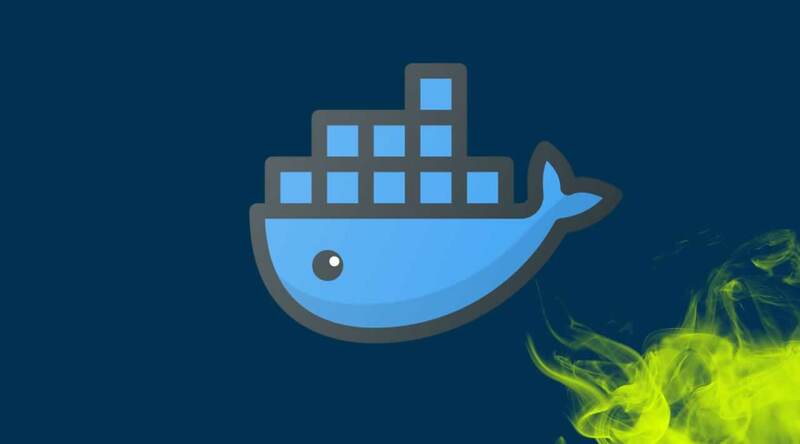 The assumption is that the reader is already familiar with Docker basics; the Docker Get Started, Part 1: Orientation and SetupandGet Started, Part 2: Containers documentation is sufficient. Much like our .gitignore, we do not want to copy the node_modules and dist folders into the container; we will rather install and build these files as part of building the image. We can also open a browser and see the API result. note: For now, we will hold off on publishing images as described in the Docker documentation. The assumption is that the reader is already familiar with Docker Compose basics; the Docker Overview of Docker Composeis sufficient. Let us first stop / remove all the Docker containers and remove all the images from our previous steps. note: These commands assume that you are not using Docker for any other purposes; otherwise these operations can be targeted. And as before, we can also open a browser and see the API result. We will be using Kubernetes for non-development deployments, at the same time we will be using Docker Compose exclusively for development. With this in mind, we need to refactor our previous implementation to allow for the live build / restart of the application to support our development workflow. In preparation for our updated Docker Compose configuration, we need to be able to run the development tools via a single npm script (currently requires running both the watch-fs and watch-node scripts). We use the concurrently package to accomplish this. "develop": "npm run build-ts && concurrently 'npm:watch-ts' 'npm:watch-node'"
With this in place we can open a browser and see the API result. Also, editing the source files will trigger a build and restart the application. We will need an online location to store Docker images in order to deploy them using Google Kubernetes Engine; right now our images are stored in our local Docker registry. Also, it is likely that we will want to keep these images private; so we will need a private registry. 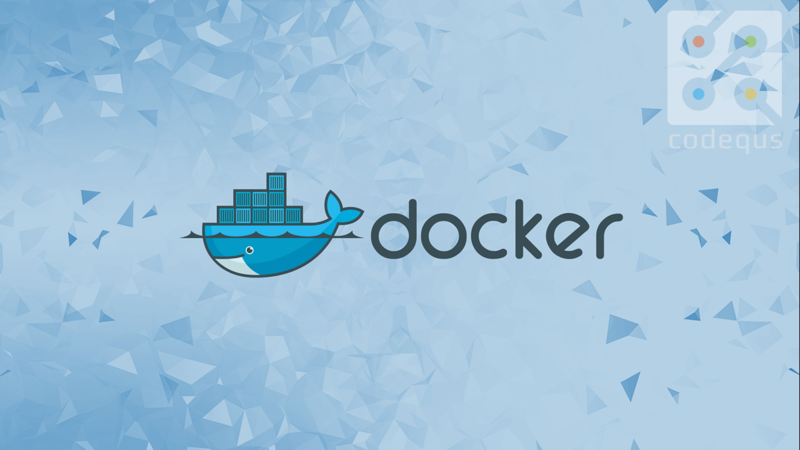 note: In my first pass at this article, I explored using a private registry at Docker Hub. I, however, discovered that while Kubernetes supports private registries, it was a more complicated solution (requiring setting up security keys and separate billing). Given that we are going to be using Google Kubernetes Engine, the tightly integrated Google Container Registry is a natural solution for our private registry. A service responsible for hosting and distributing images. The default registry is the Docker Hub. A collection of related images (usually providing different versions of the same application or service). An alphanumeric identifier attached to images within a repository (e.g., 14.04 or stable ). 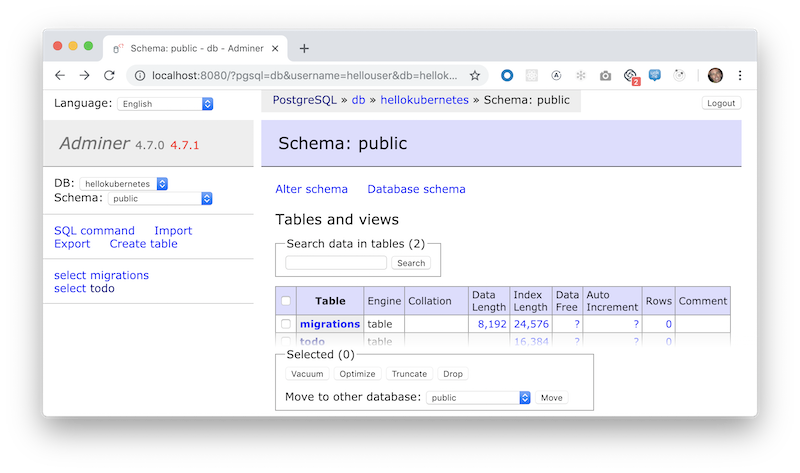 Also, if you are going to follow along, you will need to follow the Quickstart for Container Registry to enable the feature in a Google Cloud Platform project (that you will also likely need to create) and install the gcloud command-line tool. Now that we have stored our Docker image online with Google Cloud Registry, we will run a container based on it using GKE. The assumption is that the reader is already familiar with GKE basics; for this there is an excellent article Kubernetes 101: Pods, Nodes, Containers, and Clusters(it is actually a three-part series and all are helpful). note: If you read the official Docker documentation, they define similar (but different) concepts: stacks, swarms, and clusters. Since we are using Kubernetes, these concepts do not apply. Also, if you are looking to follow along, you will have to setup a GKE enabled Google Cloud Platform project (the same project used for Google Container Repository) and have access to both the gcloud and kubectl command-line tools; instructions are available at GKE Quickstart. Because we have a stateless application, we create a Kubernetes deployment. Per the diagram, our last step will be to create a load balancer servicewith an external IP address. The load balancer exposes port 80 that is mapping to port 3000 on pods labeled app: kubernetes. The final validation is opening the external IP address in a browser. You can create TCP/UDP load balancers by specifying type: LoadBalancer on a Service resource manifest. Although a TCP load balancer works for HTTP web servers, they are not designed to terminate HTTP(S) traffic as they are not aware of individual HTTP(S) requests. We, however, will continue to use the deployment that we created earlier. The rest of this article closely follows the official tutorial Setting up HTTP Load Balancing with Ingress, providing concrete examples along the way. 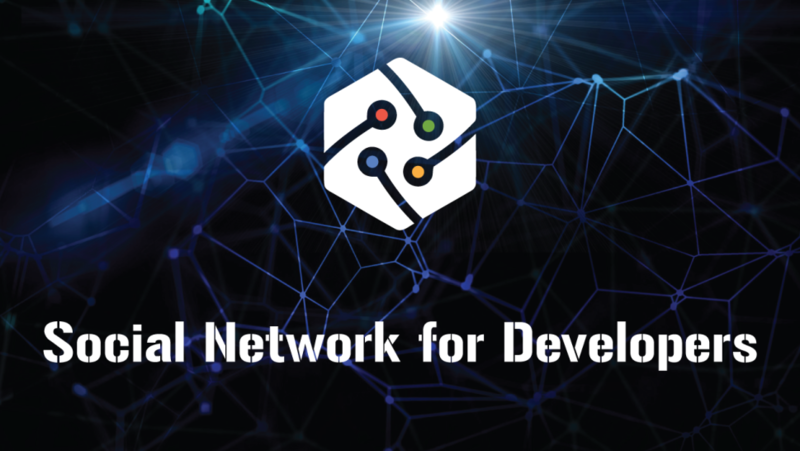 We first need to create a NodePort service in preparation to create an Ingress service. If you set the type field to NodePort, the Kubernetes master will allocate a port from a range specified by — service-node-port-range flag (default: 30000–32767), and each Node will proxy that port (the same port number on every Node) into your Service. That port will be reported in your Service’s .spec.ports[*].nodePort field. First NodePort services are a low-level service, used by other services, e.g., an Ingress service. They also interact with the actual underlying nodes supporting the cluster. note: Unless otherwise specified, clusters default to having three nodes. For each Pod and exposed port (e.g., 3000) that a NodePort service specifies, the NodePort defines a map to a randomly (e.g., 30677) assigned port that is allocated on each Node (same port on each Node). This mapping provides a mechanism to allow other services to direct traffic to a particular Pod without for knowledge of which Node is it running on. 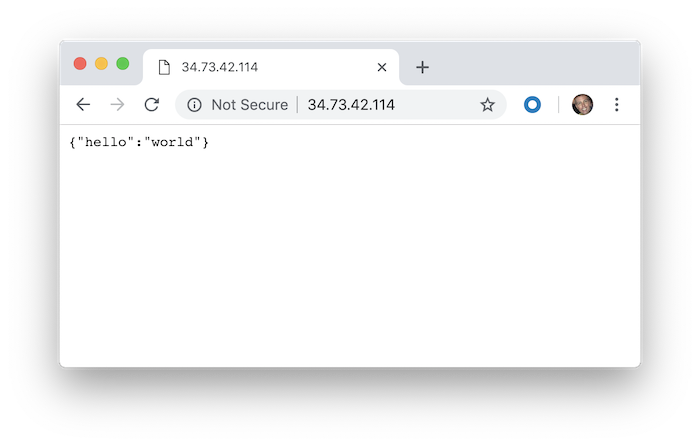 Now that we have a static IP address, the next step towards securing our API with HTTPS is to create a domain name mapping to the static IP address. In my case, created an A record for my larkintuckerllc.com domain (hosted on GoDaddy) to the static IP address. 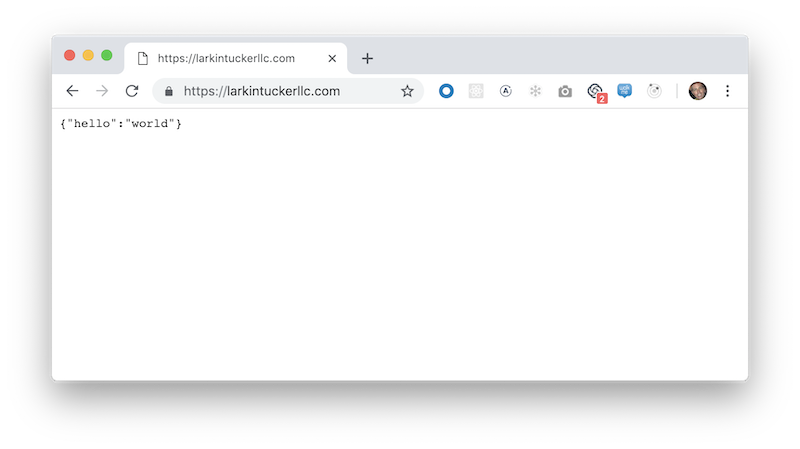 note: I also created a CNAME record for www.larkintuckerllc.com pointing to the A record. 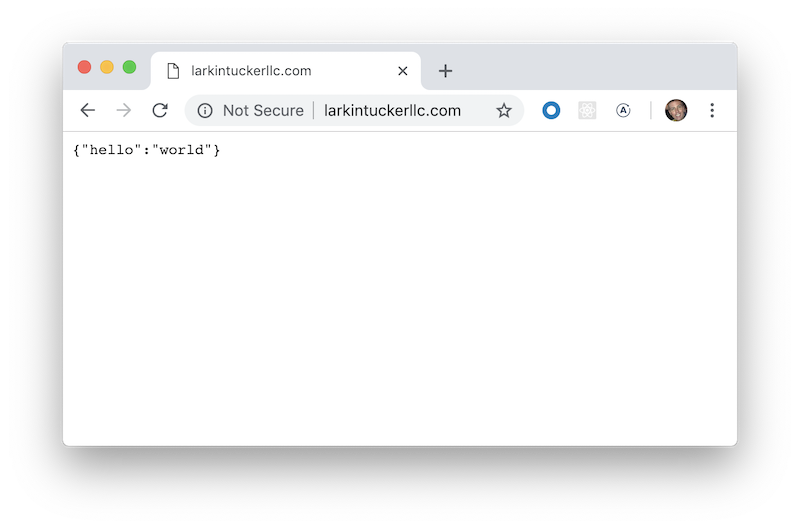 Next, we need to create a HTTPS certificate; I ended paying $8 a year to obtain a PositiveSSL certificate (works for both larkintuckerllc.com and www.larkintuckerllc.com). note: Getting the no-cost Let’s Encrypt to work with GKE seemed overly complicated; see Let’s Encrypt on GKE. Because we do not want to run our application using database administrator access, we create a new database, create a new user, and grant access to the user to the database. To accomplish this, we will use the command-line tool, psql, available in the postgres container. note: The SQL commands can be also executed using a web interface provided by the the adminer container. With the database in place, we update the application to use it; using the TypeORM library. These steps closely follow the first article in another series that I wrote: TypeORM By Example: Part 1.
note: In practice, it is important to keep secrets out of configuration files, e.g., the following script incorrectly contains a password. For the purposes of keeping things simpler, will not worry about it now. The correct answer involves using an environment variable which we would set as part of the Deployment configuration. The generated file does not pass our linter configuration (spacing issues failing some Prettier rules); a quick fix using our editor and we are good. In general, a container’s root filesystem is not suitable to store persistent data. The containers you run on GKE are typically disposable entities, and the cluster manager may delete, evict, or reschedule any containers that become unavailable due to node failure or other causes. In such an occurrence, all data saved to a container’s root filesystem is lost. Using persistent volumes backed by persistent disks lets you store data for WordPress and MySQL applications outside the containers themselves. This way, even if the containers are deleted, their data persists. 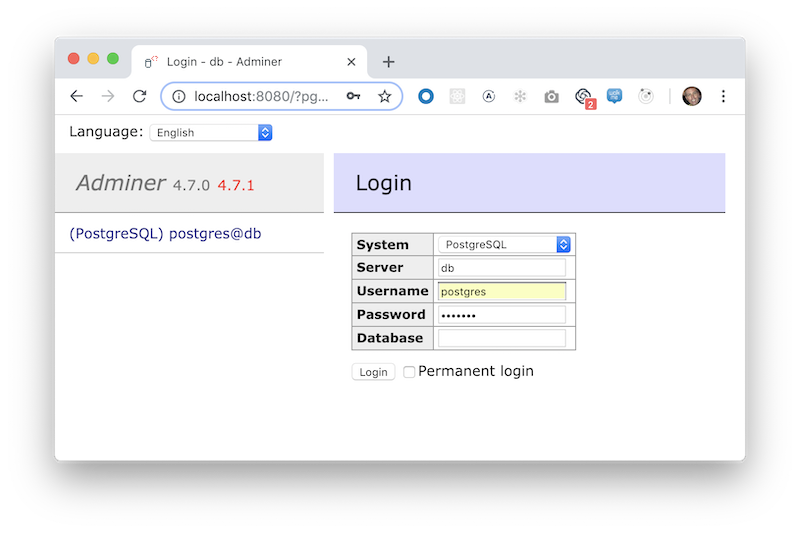 While our database will only be accessible from resources inside our GKE cluster, we will still want to change the default postgres (administrator) password used by the postgres Docker image. note: Similarly one can access a Container’s logs using the kubectl log command using the Pod’s name. note: It was about this point, when I panicked as I recalled that Pods (and their Containers) were ephemeral (meaning changes made to them will not last). We seeming just applied some changes directly on the database Container. Then, I was relieved to remember that PostgreSQL maintains metadata (tables, users, etc.) in a database itself (which is stored on the PersistentVolume. Here is where a solid GKE naming strategy (and better use of environment variables) would help; we were forced to name the service db to match up to the name in our Docker Compose file. Name is hard-coded in the ORM configuration file. This reminds me that the use of GKE encourages one to embrace the principles of The Twelve-Factor App. The last step is to update the image, with the new code using the database, in the deployment serving up the API. We can now see that the API has the new code, e.g., below is the read endpoint being viewed (after having used the create endpoint). Decided to stop here with the series; covered most of the core concepts to get one going with it. 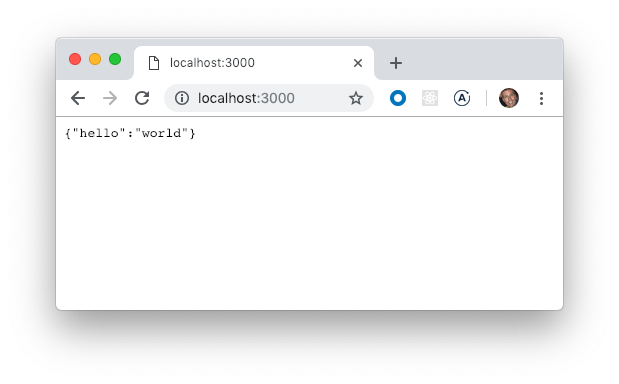 I like it because I can pretty much run off-the-shelf Docker images, e.g., can spin up a WordPress site without all the pain of setting up PHP, etc. BUT… As a developer (who mostly have moved to the front-end), there is a bunch of new stuff that I need to learn to use Kubernetes. ☞ DevOps Toolkit: Learn Kubernetes with Practical Exercises!